Ranging from rocky and hilly to flat and open, beginners and advance riders alike will enjoy this trail. 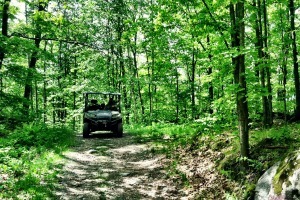 Many communities along the trail are ATV-friendly, allowing ATV travel within city limits. The trail is provided and maintained by Cass County and the Over the Hills Gang. Please be aware - portions of the trail share the road with vehicle traffic. Available in Emily and Outing. Trail access from the Moose River Trail.